As you might know it is best to wash your hair ever two to three days. It is important to touch or brush your hair as little as possible; especially after eating or preparing greasy foods, as you might transfer the food oils into your hair. 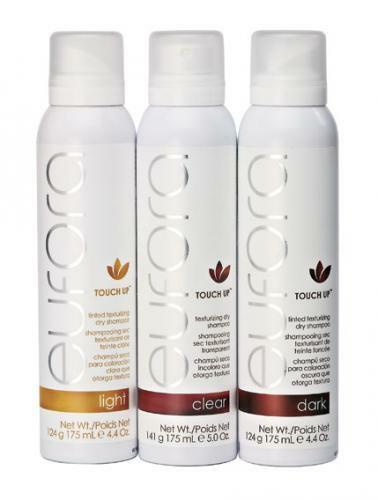 The Eufora Touch Up Dry Shampoo refreshes second day hair, absorbs excess oil, and extends the life of your blow out while adding volume and texture. The temporary tint lasts all day and washes out easily. It is a great source for color enhancement or gray root coverage. At Pistachio we carry the Tinted Texturizing Dry Shampoo in light, dark, and clear. Stop in today to check it out!